The 2019 Mitsubishi Outlander PHEV is now on sale in the UK, with three specs and a starting OTR price of £34,255. A new 2.4-litre petrol engine pairs 133bhp (up from 119) with 94bhp from the rear motor and an extra 10% output from the drive battery which now has 13.8kWh capacity. Torque is also up, to 156lbf.ft from 140lbf.ft and a new WLTP combined efficiency figure reads 139mpg. Full EV range isn’t mind-blowing at 28 miles, but the Outlander is a plug-in hybrid, after all. 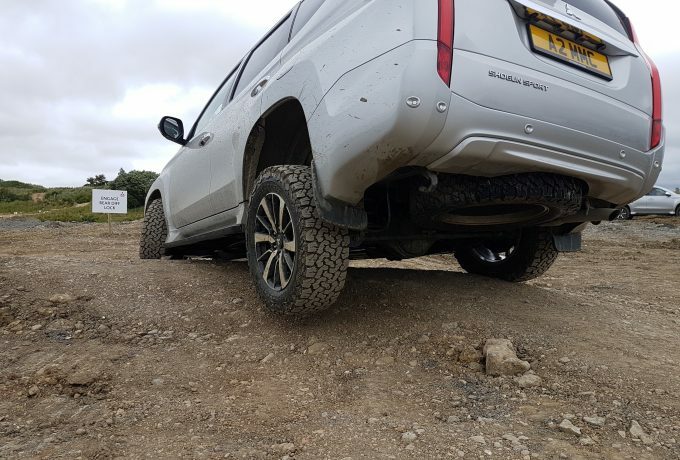 Shock absorbers – both front and rear – have been revised and the addition of a sport mode sharpens the throttle whilst Super All-Wheel Control balances power between the four corners. Snow mode is new, and assists with pulling off in slippery conditions and controls cornering on snow and ice. The steering ECU plus the steering ratio have been tweaked for more responsiveness, and the front disc brakes have been enlarged for more braking bite. Inside, there have been updates to the seating and instrument cluster plus a brand new switchboard. 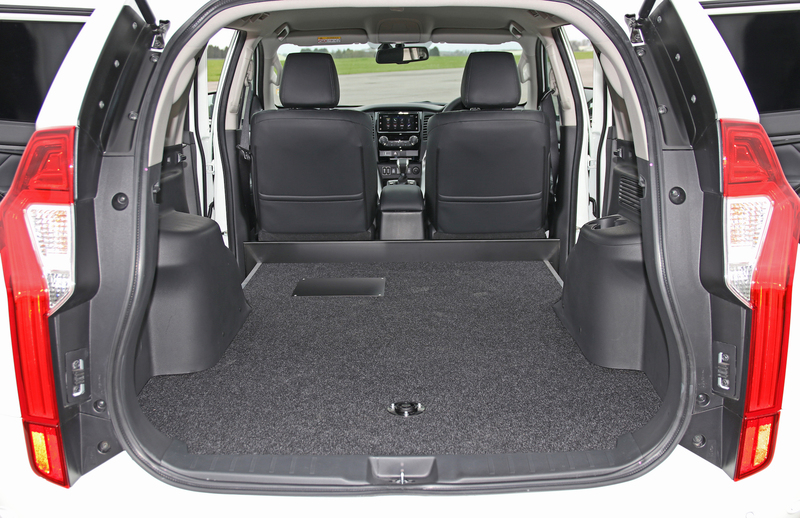 The rear seating now features ventilation, whilst the USB charging points have been more conveniently placed. 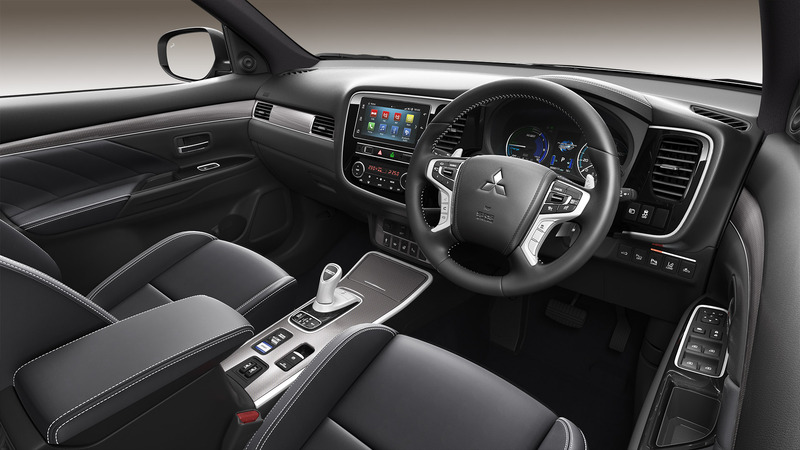 Infotainment comes in the form of Mitsubishi’s Smartphone Link Display Audio which supports both Apple CarPlay and Android Auto. 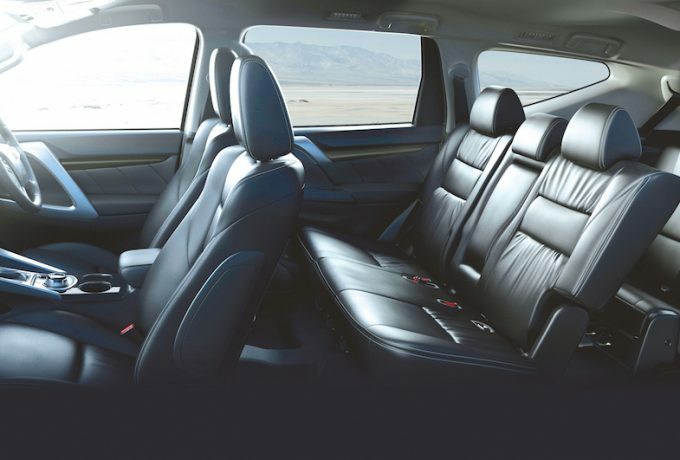 Heated front seats are standard, as is the heated windscreen and dual-zone climate control. The base Juro spec also includes keyless entry and push-button start, LED running lights and remote smartphone app compatibility. 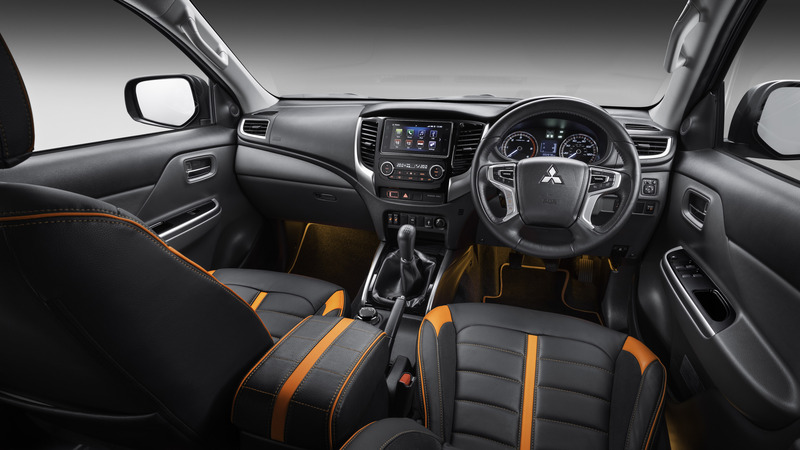 The 4h trim builds on that of the Juro with a 360º camera, blind-spot warning and rear-cross traffic alert. 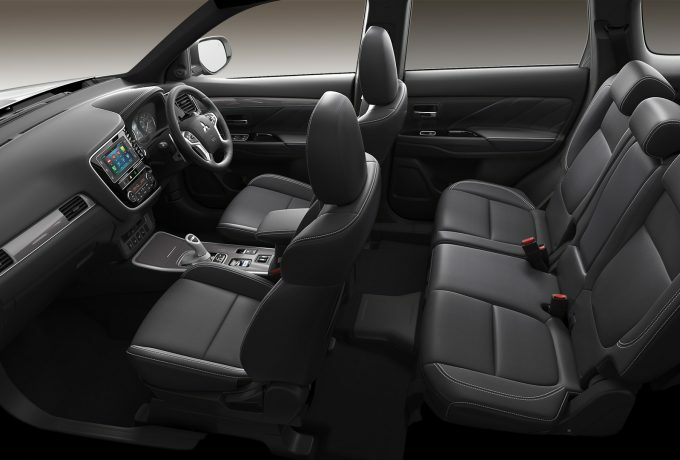 The interior features a new black headlining, electric drivers seat and heated steering wheel and a powered tailgate. Front headlamps, high beam and front fog lights are all LED. Top of the range 4hs receives adaptive cruise control, forward collision mitigation and lane departure warning. Front and rear parking sensors are also standard, there’s an automated high-beam system and the inclusion of unintended acceleration mitigation system. 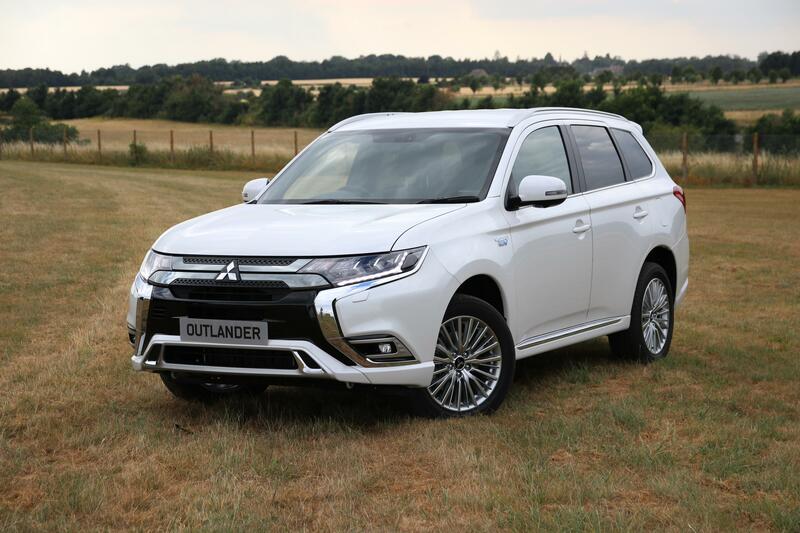 The Outlander PHEV Juro starts at £34,255 OTR. 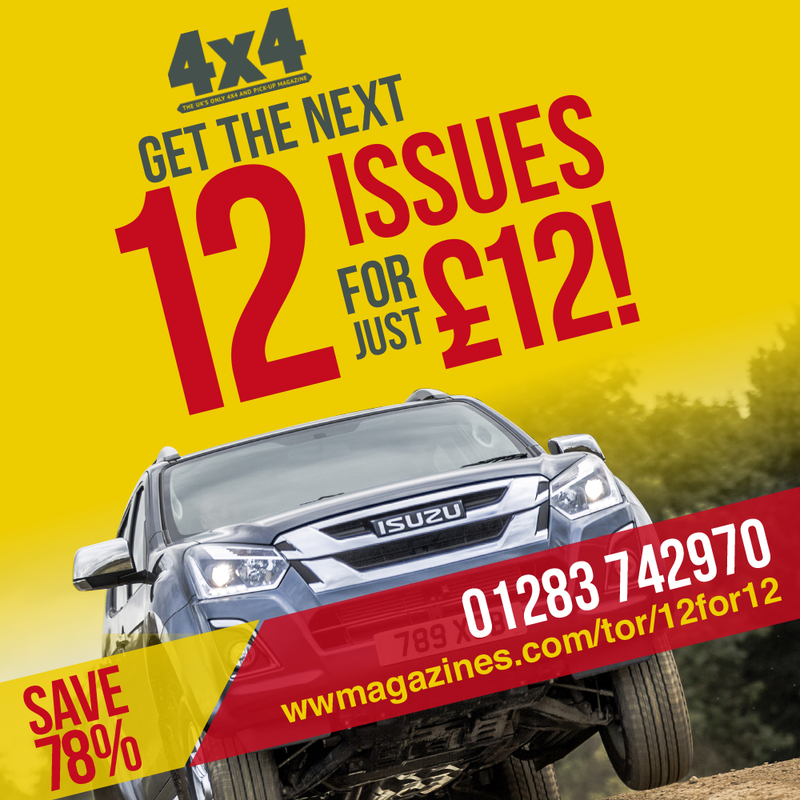 4h pricing begins at £37,000 for 4h models and £39,100 for 4hs – and is on sale now. 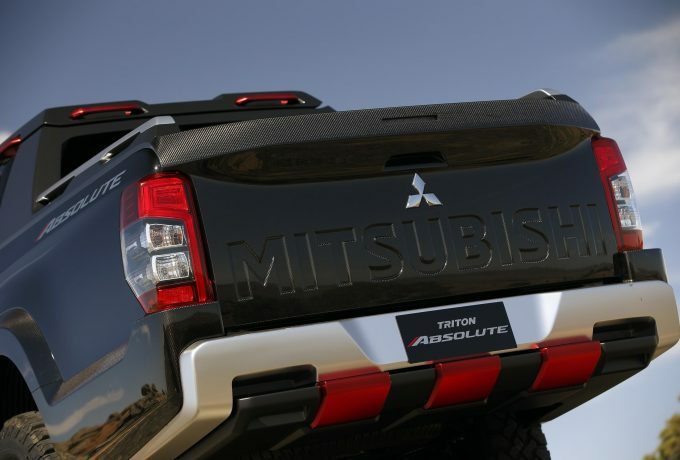 Mitsubishi’s Shogun Sport went out of production twelve years ago, but made a comeback in Australia in 2015 under the Pajero Sport alter ego. And after success Down Under, the Sport is returning to the UK, too. The 2018 Shogun Sport takes its place as the hardy, practical and off-road capable SUV in the Mitsubishi stable. And it feels purposeful. Power comes from a 2.4-litre, all-aluminium turbo-diesel engine that gives 179bhp and 317lbf.ft. 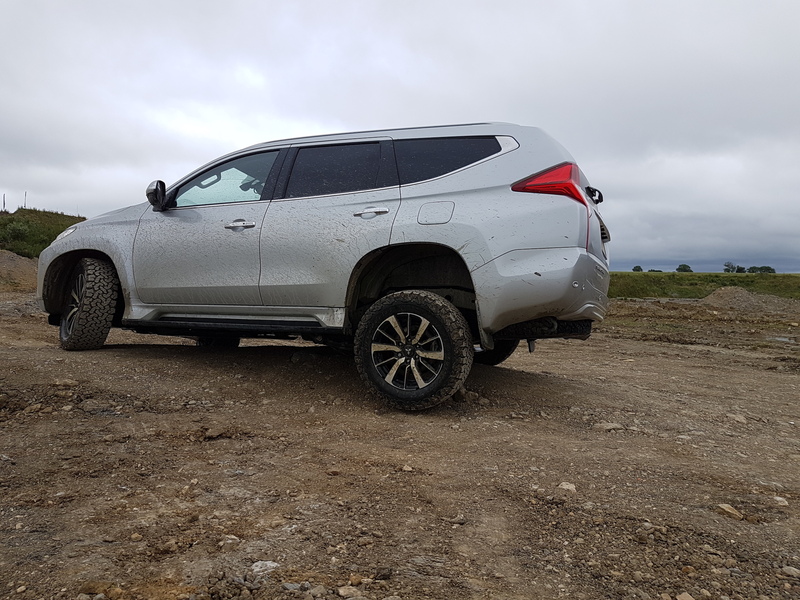 Given that the Sport weighs in at over two tonnes, it isn’t quick off the line by any means, but when in the economical 2WD setting power goes to the rear wheels only. Out on the road, it is a comfortable yet firm ride, with controlled body roll, although on the winding lanes of the Cotswolds the seven-seater felt rather large. The driver is afforded a princely vantage point, though, and visibility is good. Steering is a tad heavy, but not intrusively so. 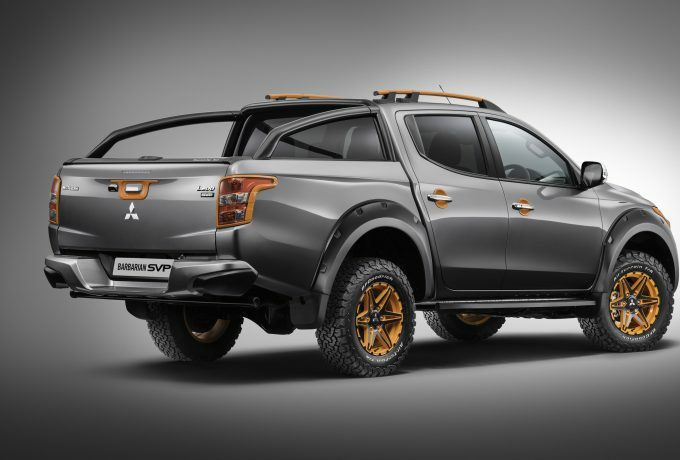 It just serves as a reminder that the Shogun Sport is utilitarian. 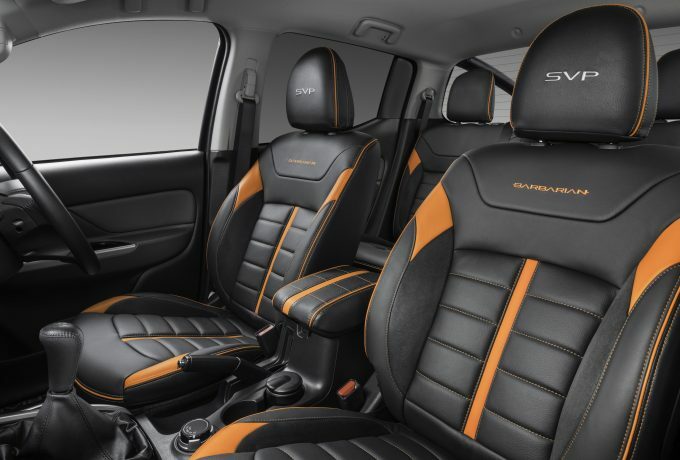 On both 3 and 4 variants (the only two trim options) the Shogun Sport comes with leather seats on all three rows – the third of which is actually habitable. Piano black plastics cover much of the cabin, and contrary to modern interiors, almost everything is button-manned. There are two handles for both the driver, passenger, and then one on either B-pillar, which if you’re lucky will frame your view over the shoulder rather than block it. 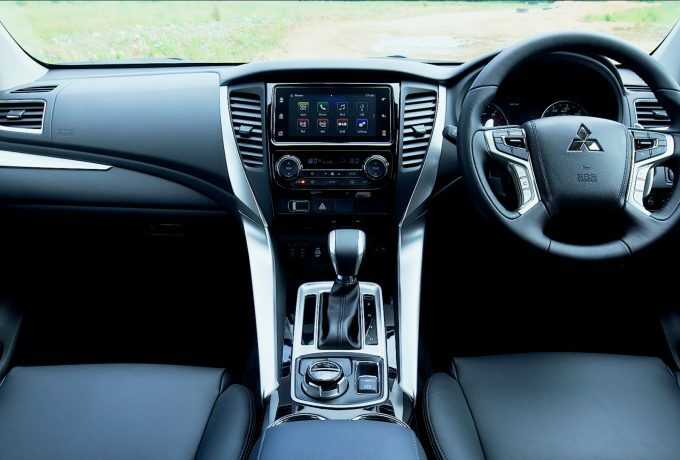 There is a seven-inch touchscreen, and the infotainment system gives access to vehicular information but, bizarrely, no navigation unless you utilise the Apple CarPlay or Android Auto capability. 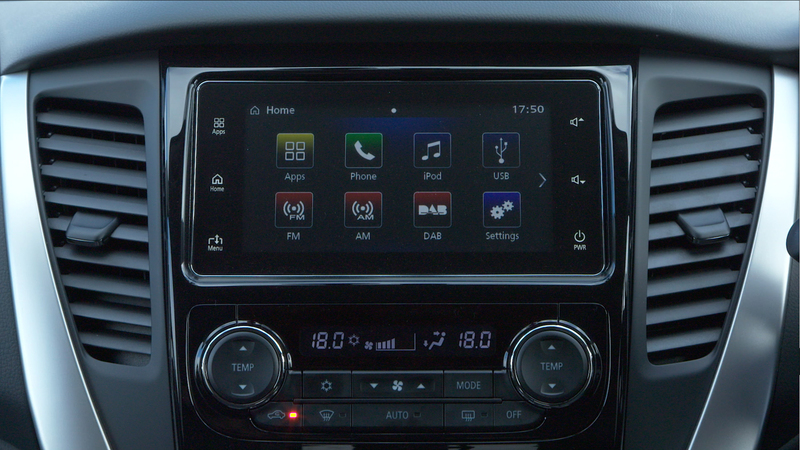 This isn’t such a stress as both functions work well, but really, no sat-nav in a brand-new car? What if you don’t have any mobile data? You expect us to read a map that’s been printed on paper? 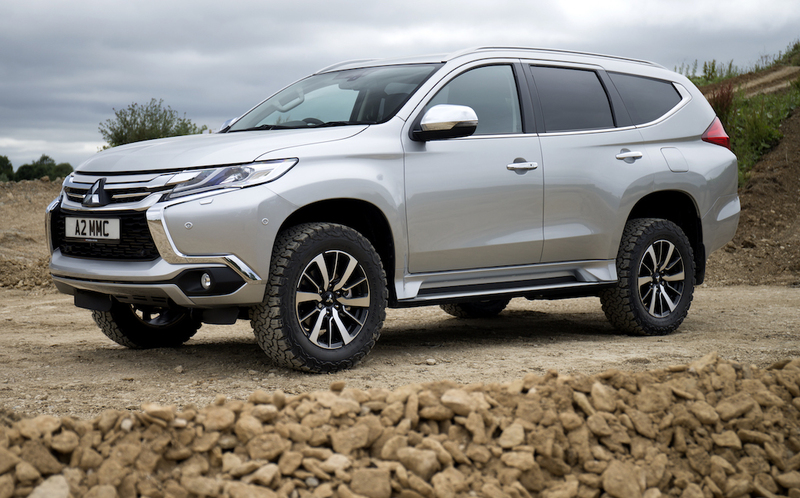 Being big, you’d expect the Shogun Sport to be practical. It is. The boot measures in at 131 litres with all seven seats upright, but flatten the back row and that figure grows to 502 litres. 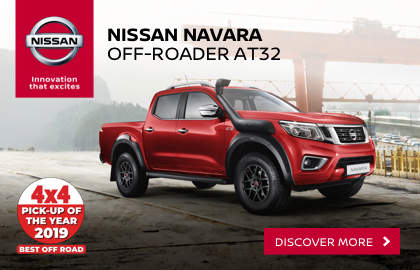 There’s a towing capacity of 3,100kg for a braked trailer with a weight of 125kg. 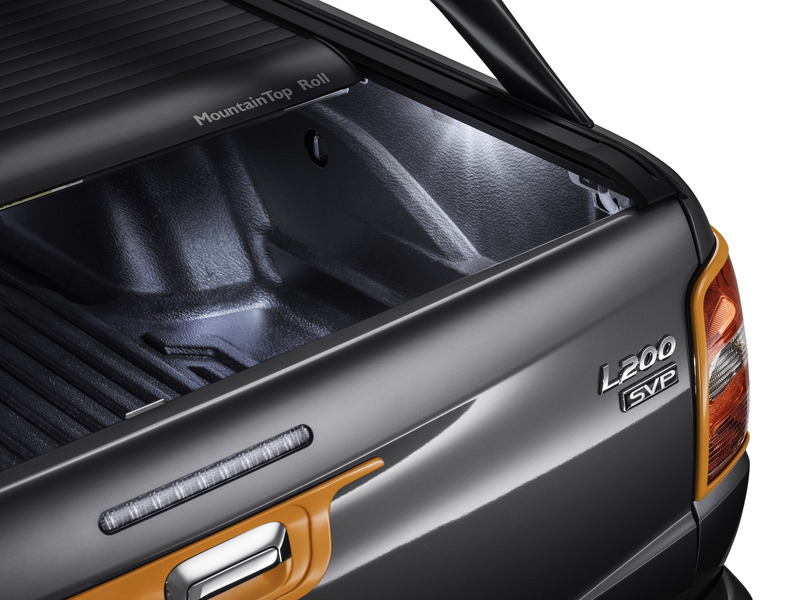 The roof boasts a load capacity of 80kg, and the payload for the boot sits at a handy 600kg. The eight-speed automatic offers plenty of low-down revs to get the Sport up and running and is then smooth and faultless at cruise – you’re up in sixth gear doing 40mph before you know it. 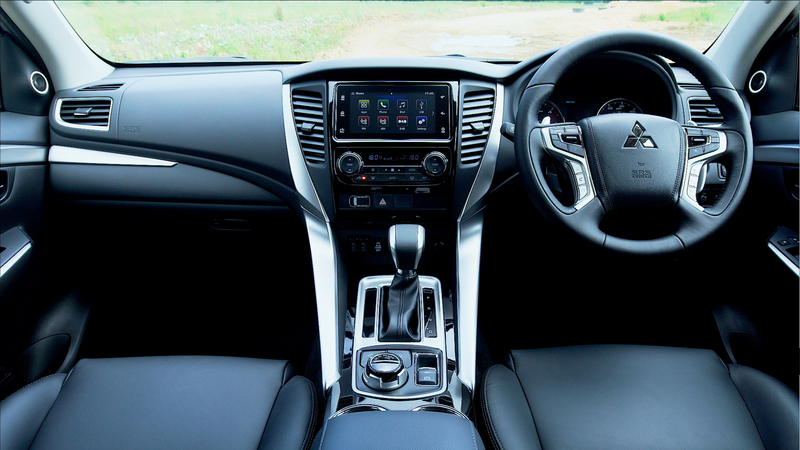 Paddles behind the wheel override the automatic selection, which is convenient once you venture beyond tarmac. 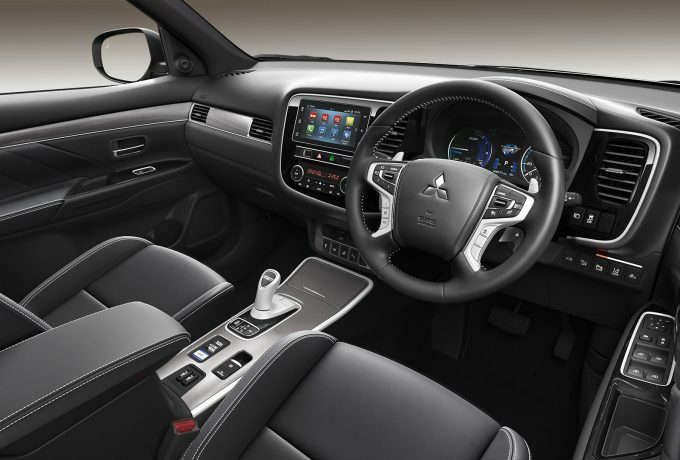 Equipped with Mitsubishi’s Super Select II 4WD system, the Shogun Sport has four transmission modes and another four off-road settings. 2H offers power to the rear axle alone for better fuel efficiency, whilst 4H spreads the power and gives 40% of the drive to the front axle. The next setting, 4HLc, locks the central diff and is ideal for snowy, sandy and high-drag surfaces, whereas 4HLLc drops into low range. In the two latter settings, the rear diff can be locked via a switch on the centre console. The off-road settings are gravel, mud/snow, sand and rock – so you’re well covered on all fronts. 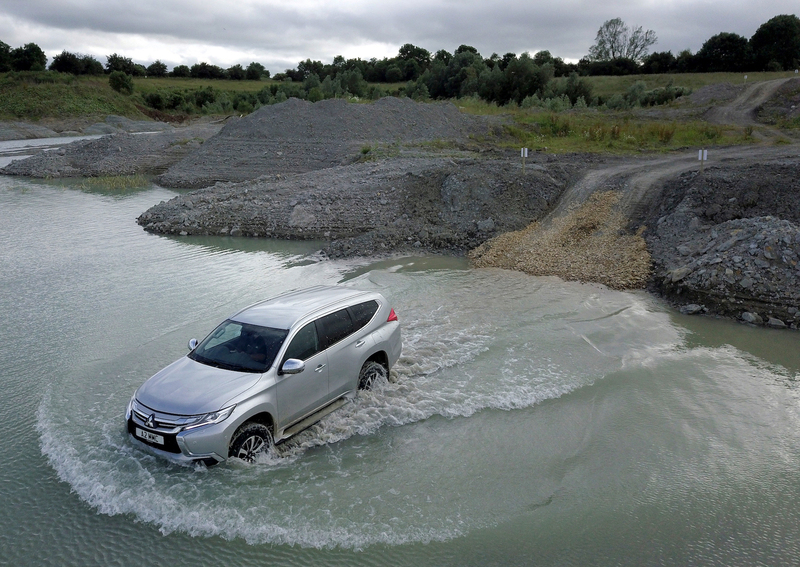 Let loose in the Shogun Sport we were directed to an active quarry, where a bespoke off-road course had been cultivated around the busy lorries and trucks at work. 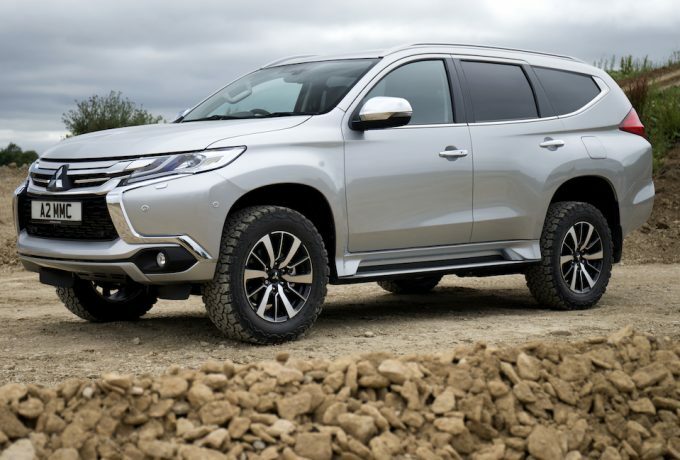 This highlighted the expertise of the Shogun Sport, and vastly altered so-so opinions gathered on the road. Each aspect of the Sport’s off-road credibility was questioned, and each time it answered confidently. In 4H the traction control managed the power well and calmly pulled us up twisting tracks. 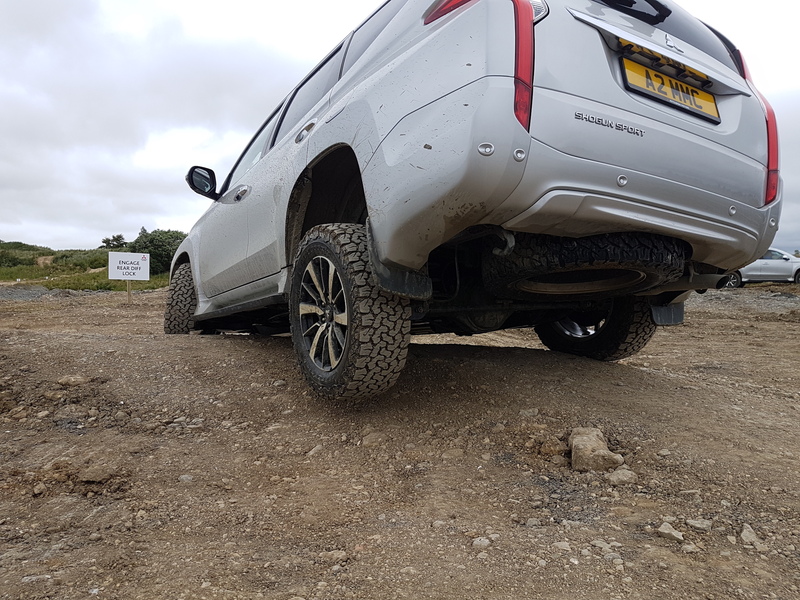 Hill Descent Control and 4HLc worked together well to calmly control speed down slopes – as did engine braking in low-range 4HLLc. 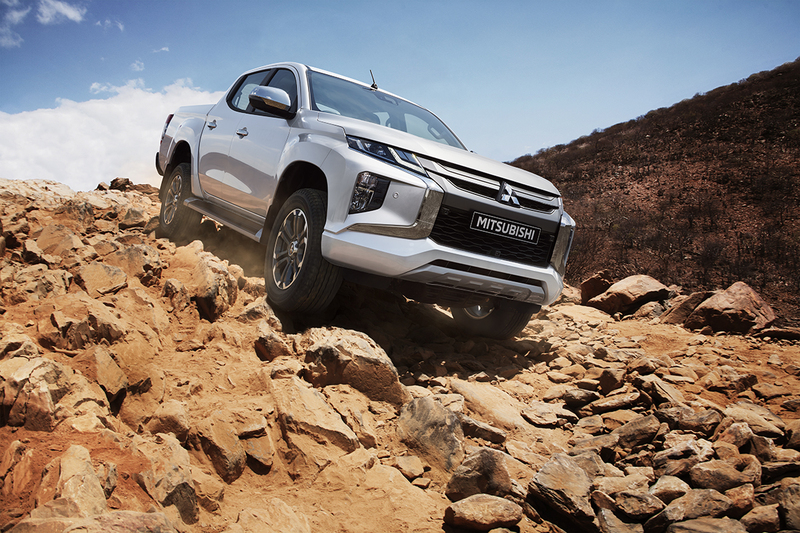 Crawling over rocks – even without rock mode on – the Shogun Sport felt assured and steady footed, and it climbed faces much too steep to walk up, without breaking a sweat. Its wading depth of 700mm meant the lake we plunged into was easily crossed. 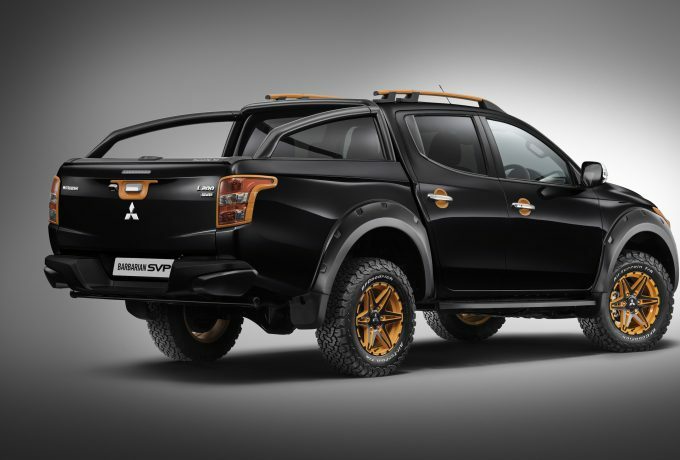 It was here, tackling the challenges in the quarry, that the Shogun Sport came to life. 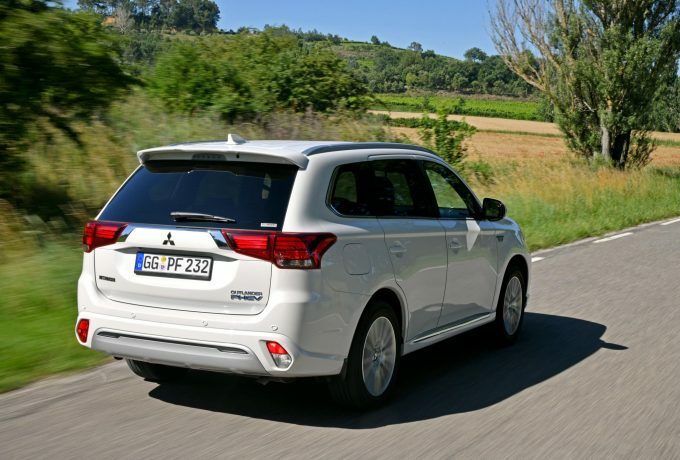 Balanced with the rear passenger wheel drooped and airborne, the Sport proved its strength. Rear doors opened and closed without problem, creaks or any issues at all – and the chassis was reassuringly strong, too. 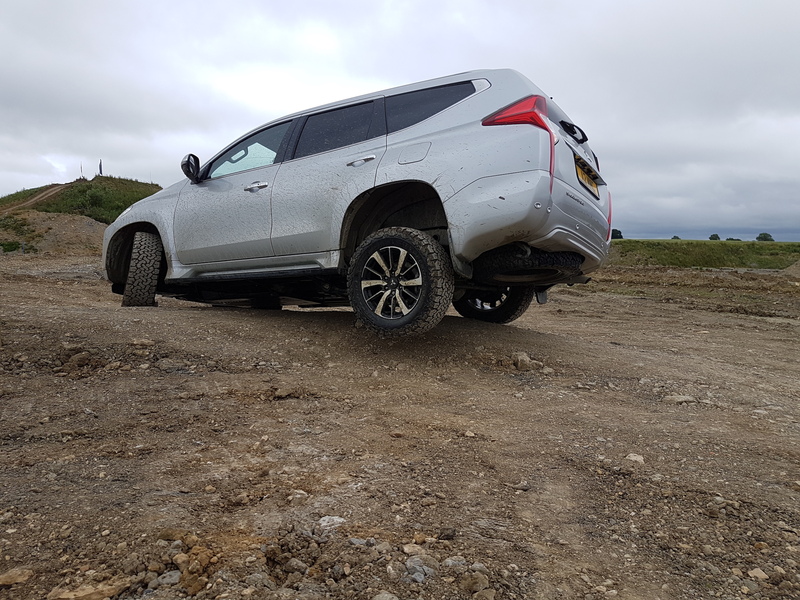 Standard equipment on the Shogun Sport 3 comprises of 18-inch alloys, leather seating, LED head and tail lights, dual-zone climate control, reversing camera, the rear diff lock and all of the off-road toys – OTR pricing starts at £37,775. 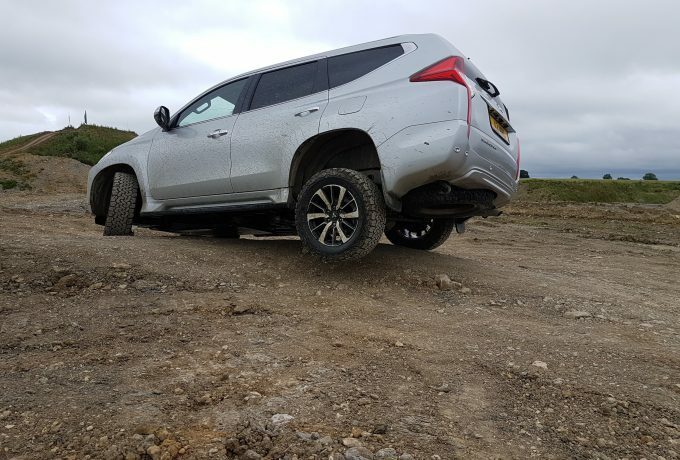 Shogun Sport 4s – like the one we tested – come at a £2k premium, with the top-spec model bringing headlamp washers, heated front seats, adaptive cruise control, the 360-degree camera, and an upgraded sound system to proceedings. 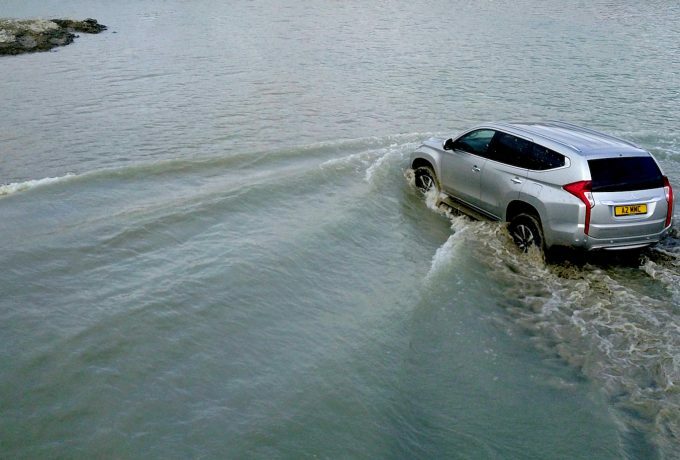 It also gets safety features in the form of Blind Spot Warning, Forward Collision Mitigation and an Ultrasonic mis-acceleration Mitigation System. 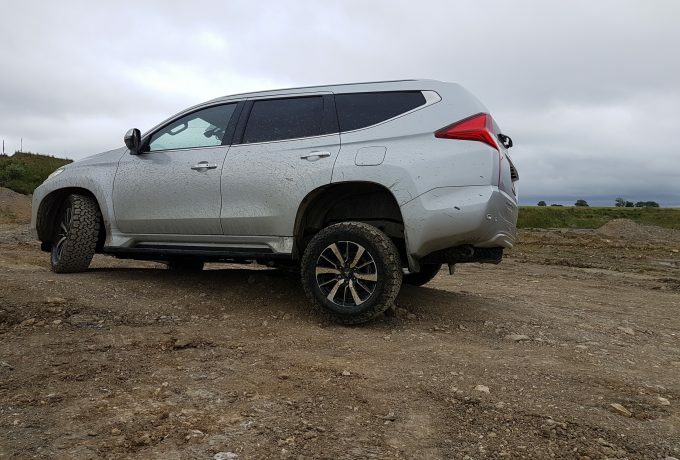 The Shogun Sport does what it must on the road and leaves little room for complaint, but where it really earns its stripes is in the rough and tumble. 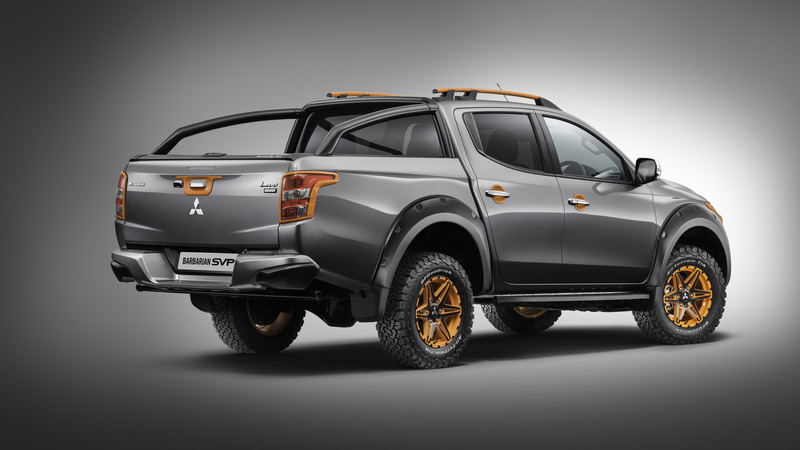 It isn’t massively sophisticated, but it is practical, robust, and impressive off-road. Compared to competitors that are strong performers away from tarmac, it doesn’t look bad value either. 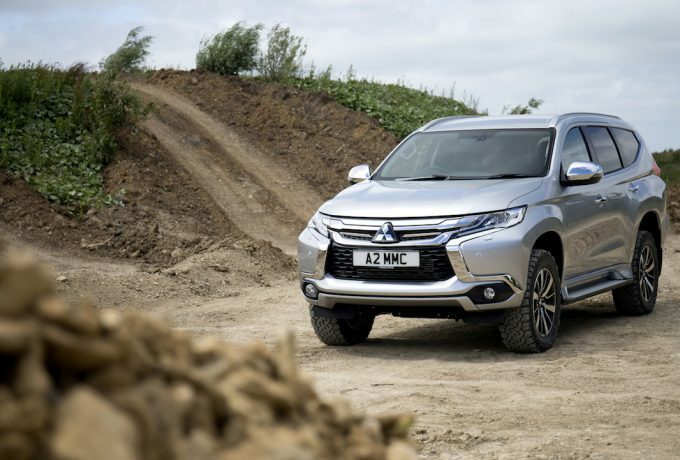 The newly-released Mitsubishi Shogun Sport has received a UK only commercial variant which has debuted at the CV Show in Birmingham. 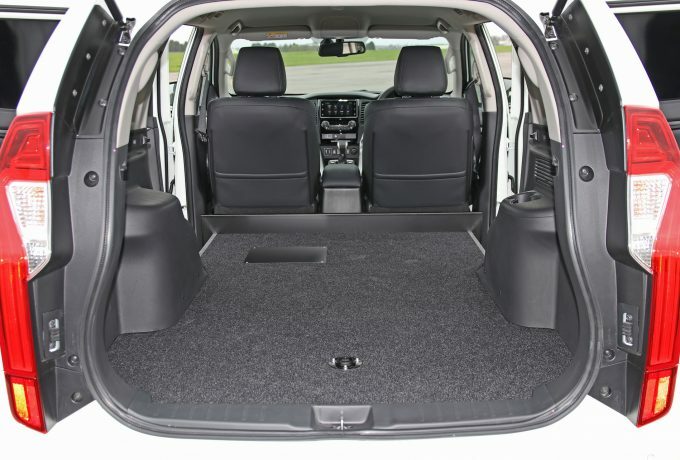 With a redesigned interior, the Commercial vehicle has a six-inch bulkhead behind the two front seats and a totally flat floor covered with bonded carpet. 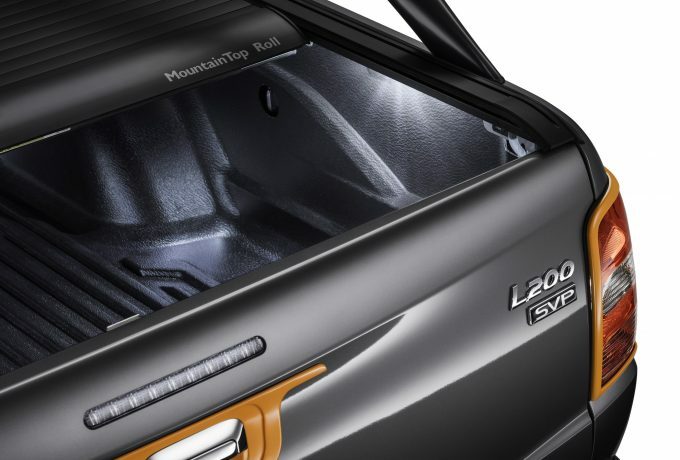 Rear side windows are opaque, with steel replacements optional. 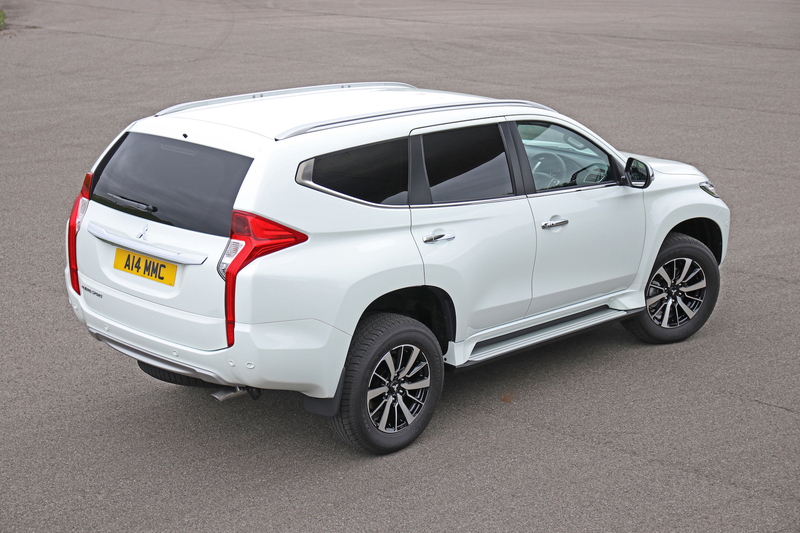 The load area is around 1,500-litres and has a towing capacity of 3,100kg. It gets power from a 2.4-litre, 181bhp turbo diesel unit, in conjunction with an eight-speed automatic gearbox. 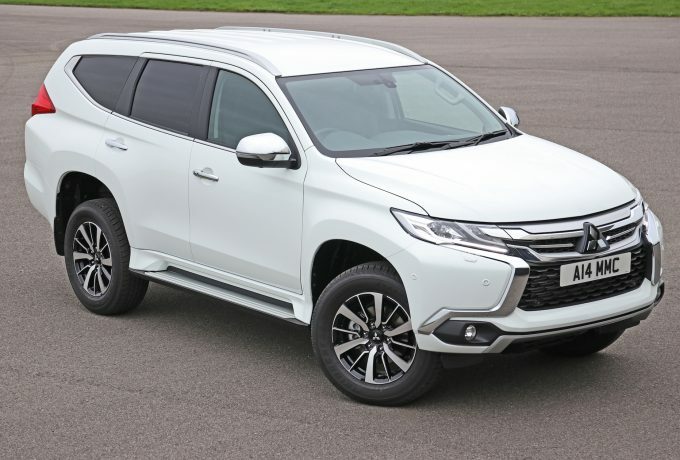 Mitubishi’s all-wheel drive system is also included, allowing the driver to switch between two and four-wheel drive seamlessly. 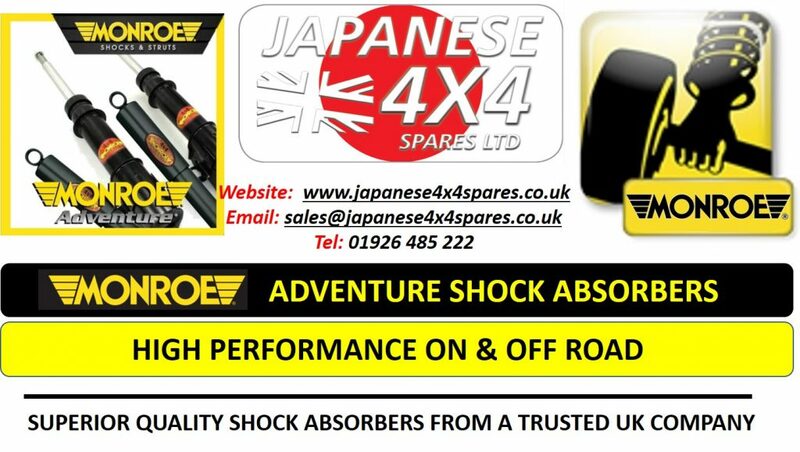 Based on the top of the range Shogun Sport 4 spec, the Commercial comes with a host of standard features. 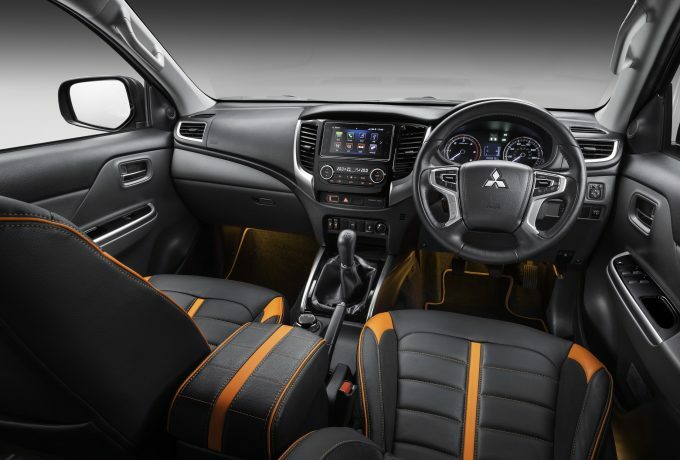 Leather upholstery covers the heated seats, whilst keyless entry, dual-zone climate, LED headlight and tail lamps, privacy glass, automatic headlight washers, and a 510W amplifier for the Bluetooth and smartphone compatible infotainment system. It also receives all of the safety features of the civilian counterpart, including adaptive cruise, Forward Collision Mitigation, blind spot sensors, parking sensors and 360˚view camera, plus mis-acceleration systems which use parking sensors to kerb sudden acceleration around obstacles. Pricing for the Shogun Sport Commercial will be revealed closer to the launch. 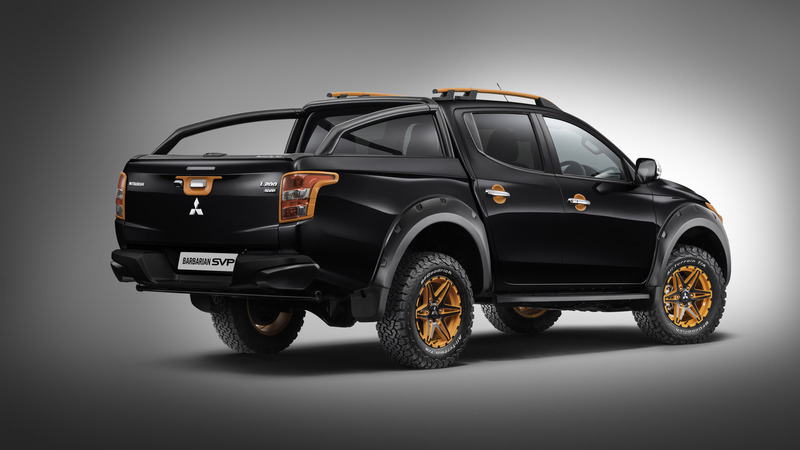 Mitsubishi have added a new special edition to the L200 line-up – the SVP Barbarian II. 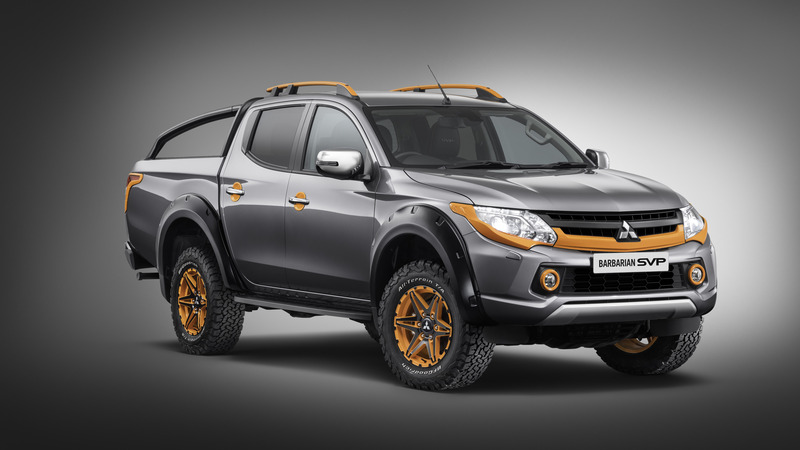 The L200 gets the Special Vehicle Projects makeover for the second time, with a duo of two-tone colourways. The SVP Barbarian II will come in pearlescent Diamond Black or Atlantic Grey, with details on both picked out in a metallic orange. Only 250 will enter production, with half of them in each base colour. 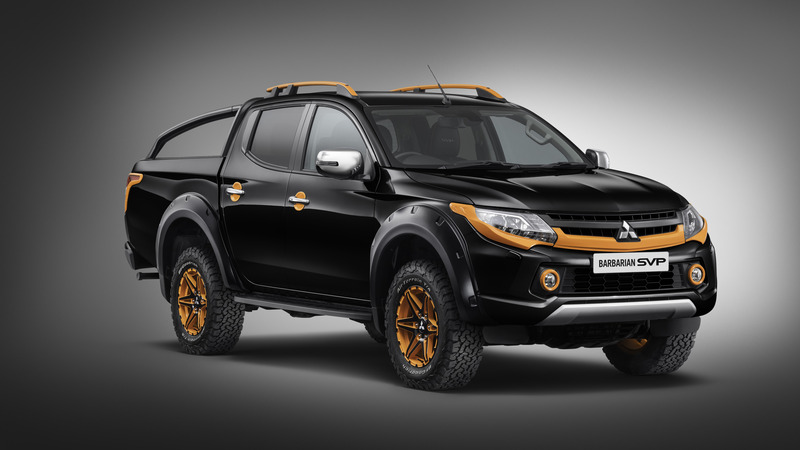 Custom black and orange 17″ alloys and extended wheel arches and SVP grille further differentiate the Barbarian from other L200s. 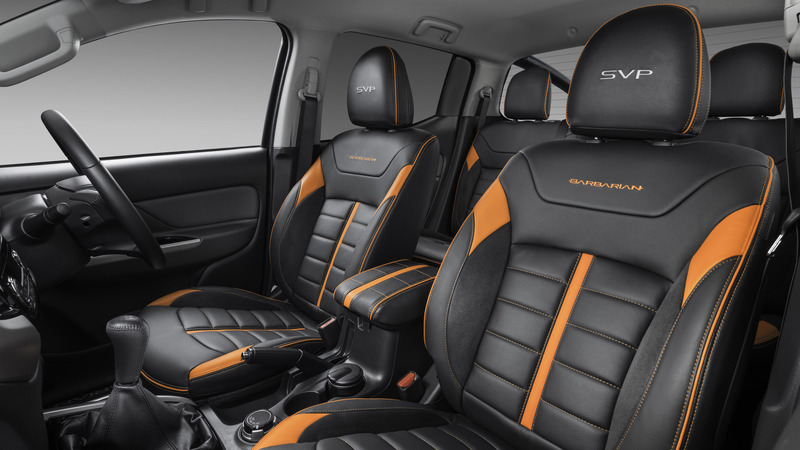 The dark interior also features striking orange detailing, with each of the SVPs getting their production number etched into the headrests. 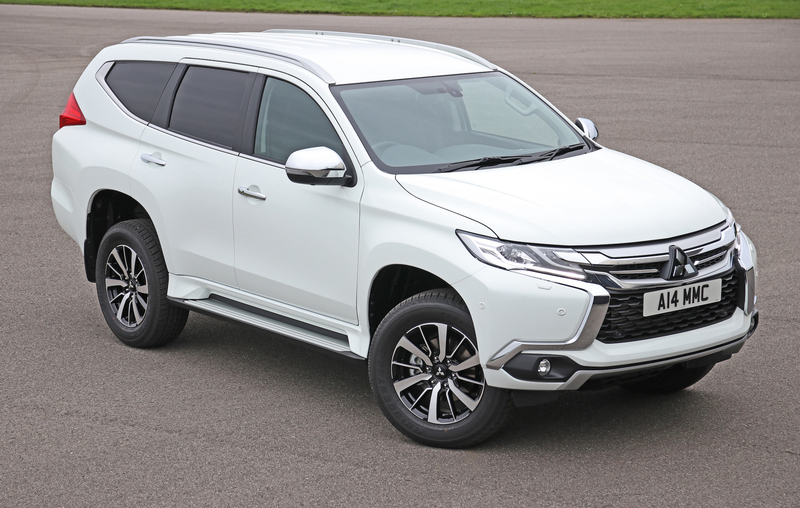 Standard equipment includes the SDA infotainment system, rain-sensing wipers, bluetooth connectivity, xenon headlights with LED running lights, cruise control and reversing camera. 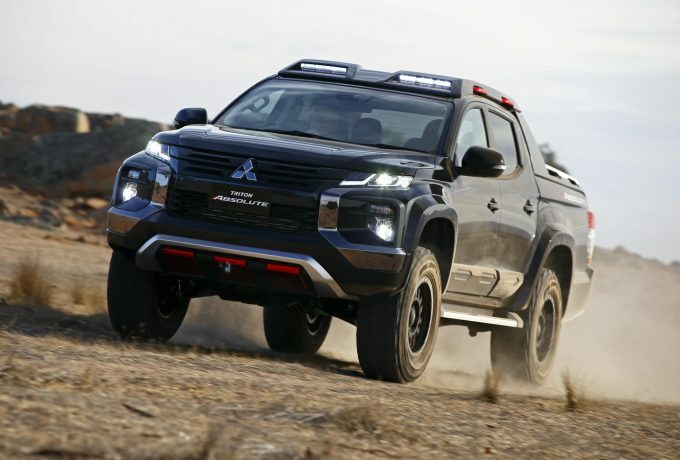 Barbarians will get the 2.4-litre, all-aluminium turbodiesel unit with 4WD and the choice of a six-speed manual or a five-speed automatic gearbox. 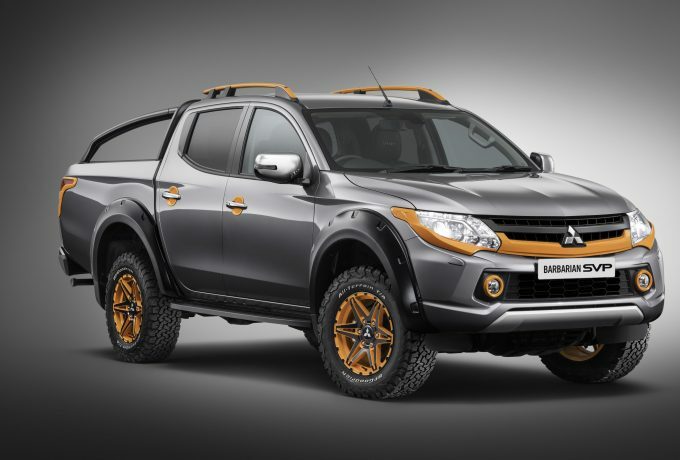 The L200 SVP Barbarian II is available to order now, in both colours, with prices starting at £29,830. Despite the fact the Mecca of motoring doesn’t start until next week, manufacturers have been teasing a mix of pictures, specs and new releases already. Here’s a list of what to look out for. 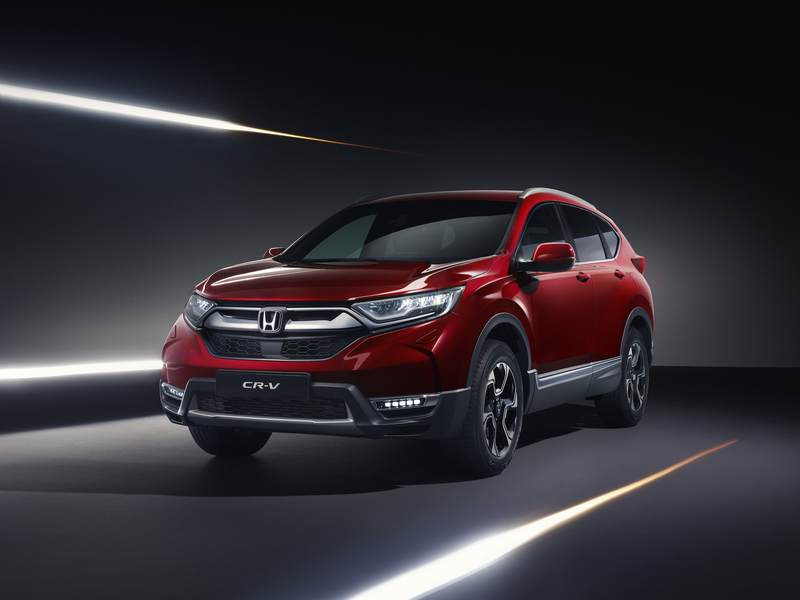 Honda will reveal the European spec of the next-gen CR-V in Switzerland, with styling updates accompanying optional sixth and seventh seats and a hybrid powertrain on the new model. 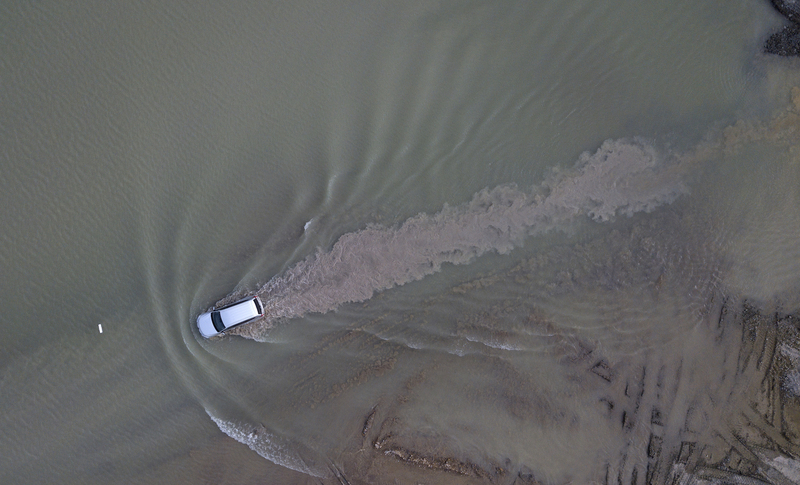 Oh, and four-wheel drive variants with both petrol and hybrid drivetrains. The first deliveries are expected in autumn this year, with hybrids coming next year. The I-Pace will get it’s full public unveiling next week in Geneva, but there will be an online reveal before then. 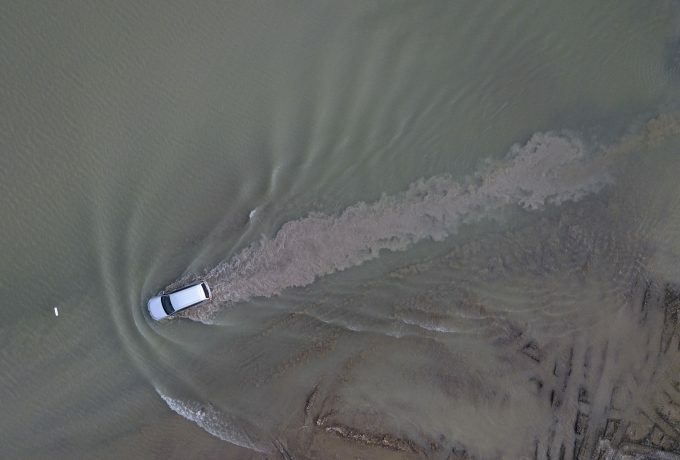 Tomorrow night the electric SUV will be uncovered live on the internet at 6pm. 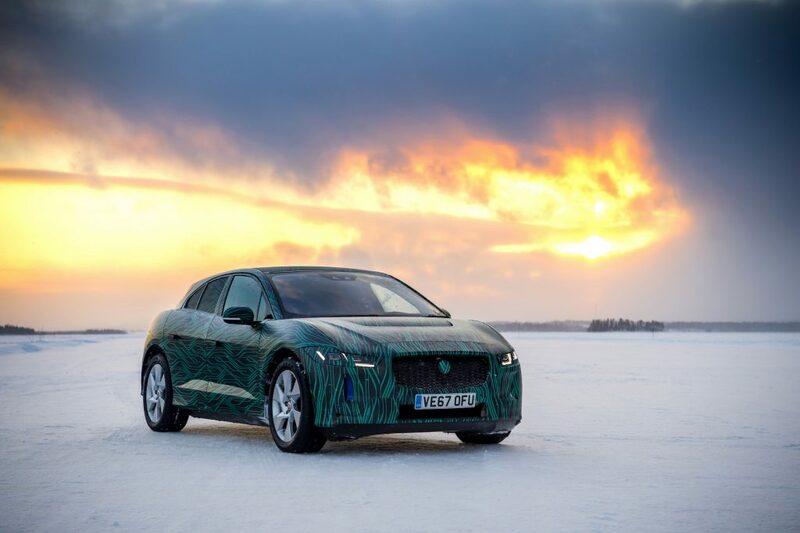 Jaguar say that the battery on the five seat SUV will charge from empty to 80% in 85 minutes, and full pricing and specifications are to be announced after the curtain drops. 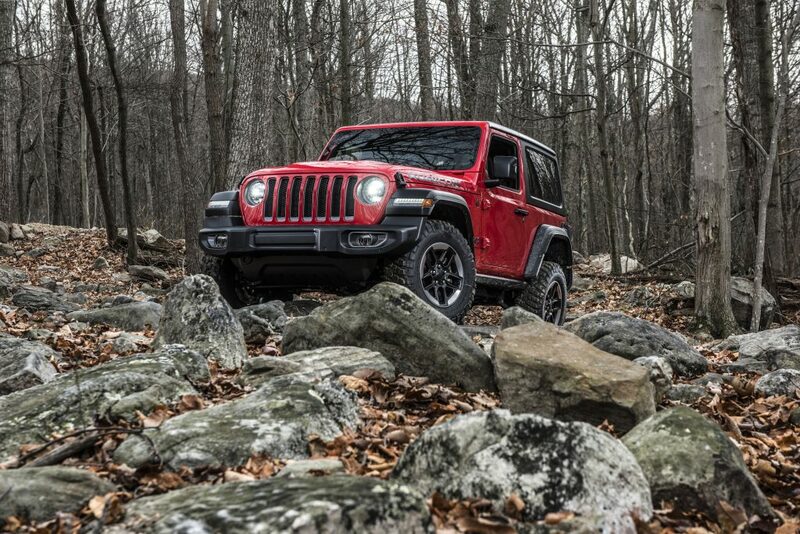 There will be three debutants from Jeep at this year’s show, with the Grand Cherokee Trackhawk, the 2019 Cherokee and the most anticipated new model in the off-roading sphere, the fourth-gen Wrangler appearing in Europe for the first time. 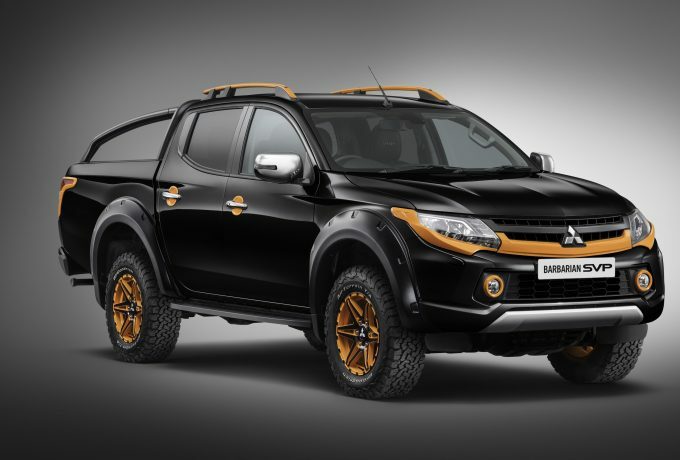 Joining the new releases on their stand will be a Night Eagle special edition of the latest Compass and four Mopar kitted Jeeps, showing off the accessory brand’s latest ranges. 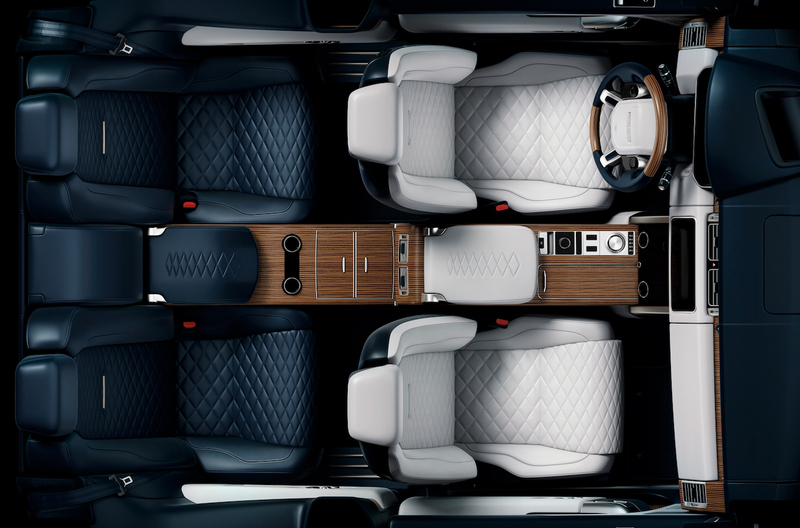 Land Rover have teased a limited run two-door Range Rover, harking back to the Classic. We know very little thus far, except that it’s a full-fat Range Rover minus the back doors, there will only be 999 of them and the interior looks funky. The full reveal will be at the show on the 6th March. 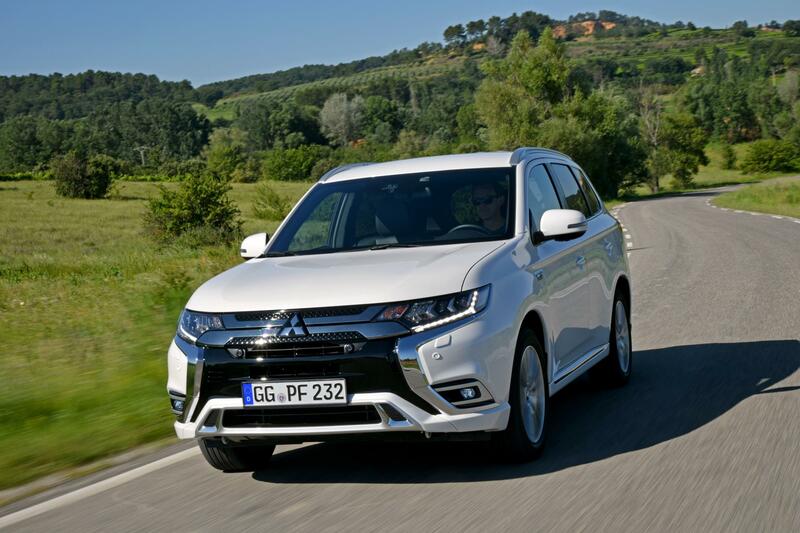 Geneva will see two model debuts from Mitsubishi – the e-Evolution concept and the 2019 Outlander PHEV. The all electric e-Evolution will be making its European debut at the show. The EV shows the ‘strategic directions’ of the Mitsubishi brand, combining a sharp exterior with an under-floor triple battery system. One battery drives the front axle, whilst to share responsibilities at the back, and this is paired with Mitsubishi’s all-wheel drive management setup. A global debut awaits the 2019 Outlander PHEV at Geneva. 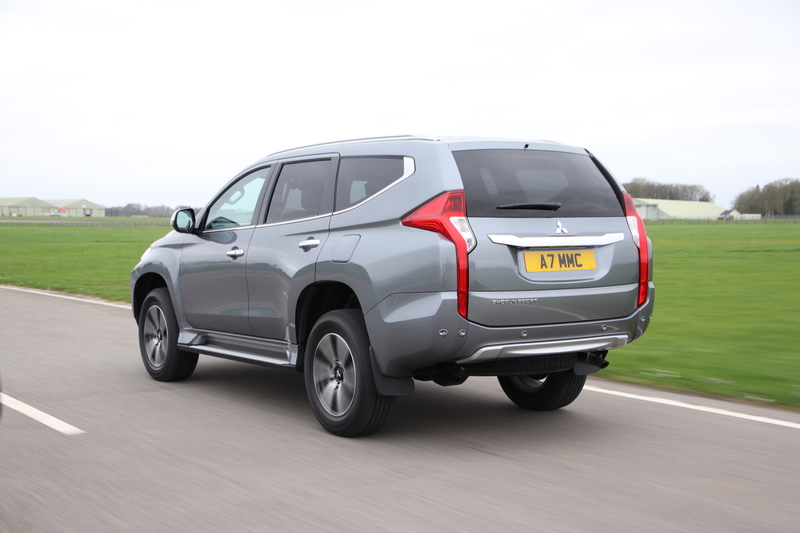 The second-generation hybrid SUV has had its drivetrain redesigned, with the previous 2.0-litre petrol engine being upgraded to 2.4-litres. 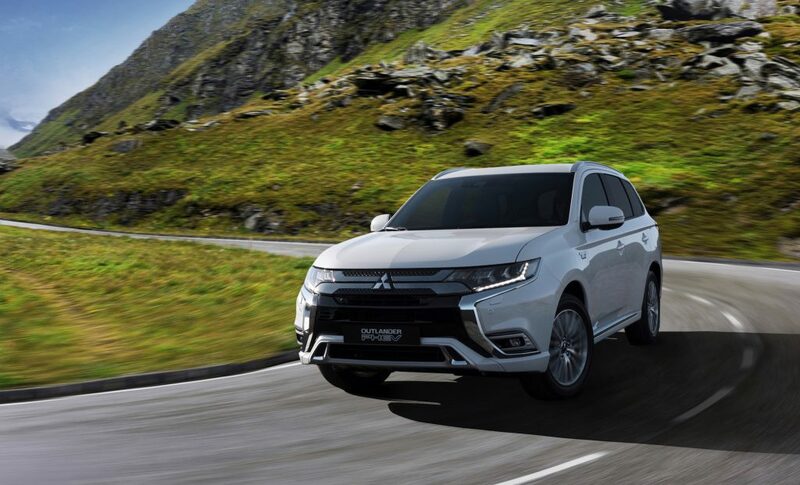 The outputs of the generator, rear motor, and the drive battery will be 10% higher than the current PHEV, whilst the drive battery’s capacity will be upped by 15%. 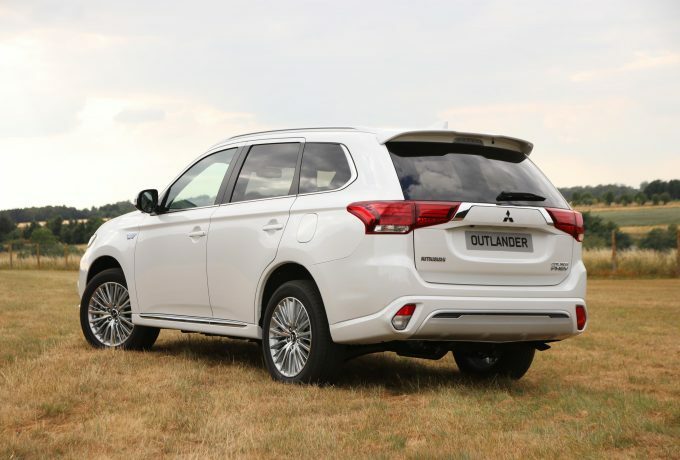 The Outlander’s 4WD system will also be getting more modes, including sport and snow settings. 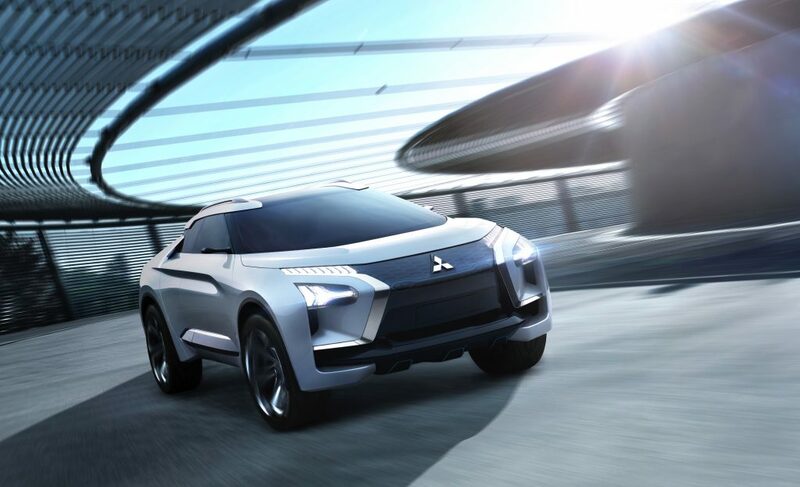 Click here to visit Mitsubishi’s dedicated Geneva Motor Show website. Skoda have announced that they will reveal several model updates at Geneva, including the latest L&K and their latest concept. 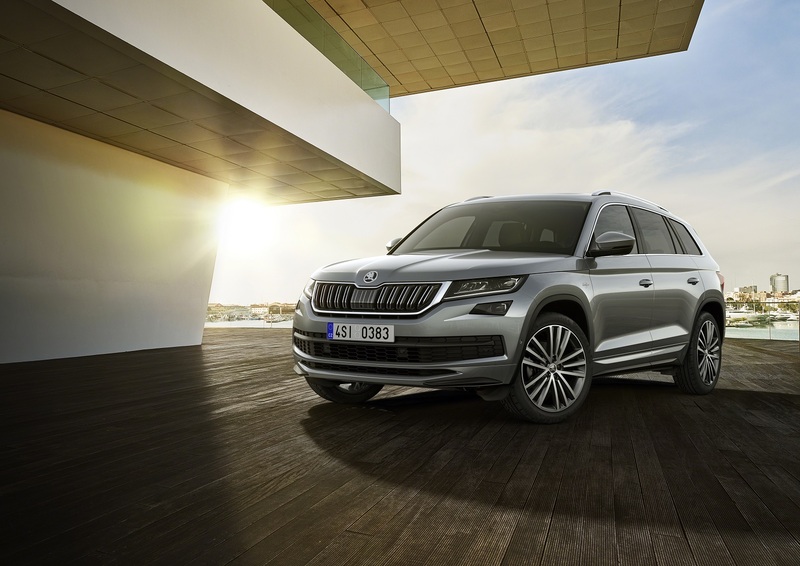 The Kodiaq L&K will make its debut in the metal in Switzerland, as the SUV receives the top-spec treatment. 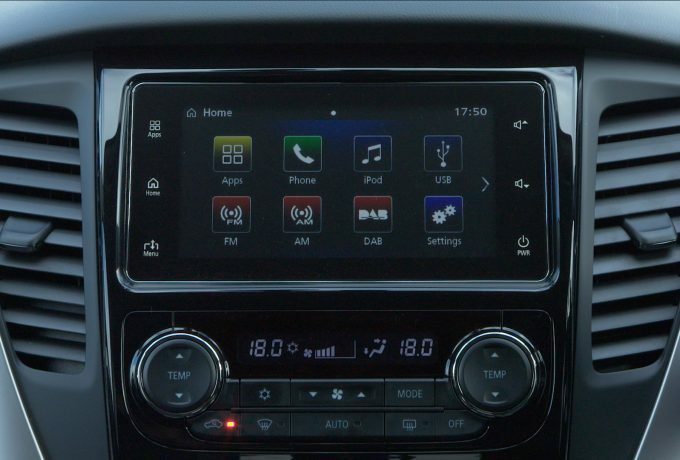 A digital instrument panel will also be added to the Kodiaq lineup. 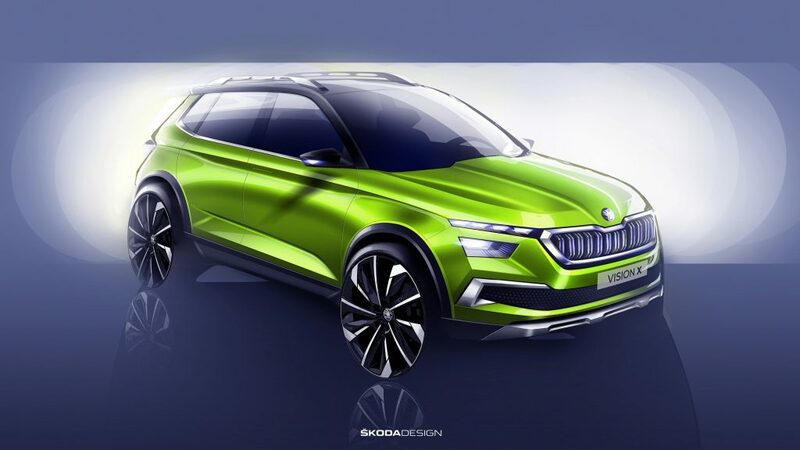 The Vision X concept looks forward to the future of the Skoda SUV family. 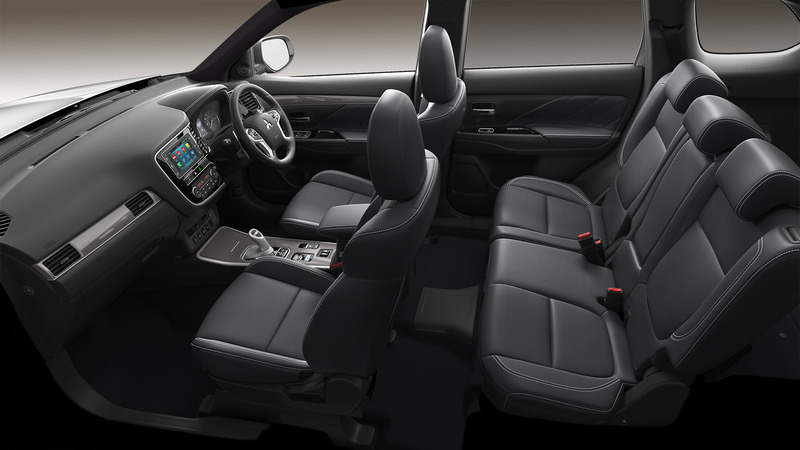 The hybrid, ‘emotionally rich study’ operates a large touchscreen display and champions infotainment and connectivity. The powertrain in the Vision X is a four-cylinder turbo unit that runs on compressed natural gas and is enhanced by an electric motor. SsangYong are doing well at the moment, and fresh from winning our 4×4 Of The Year Award with the Rexton, they’ve got a couple of reveals lined up for Geneva. A new Musso will be revealed for the first time in Europe, alongside an electric offering. 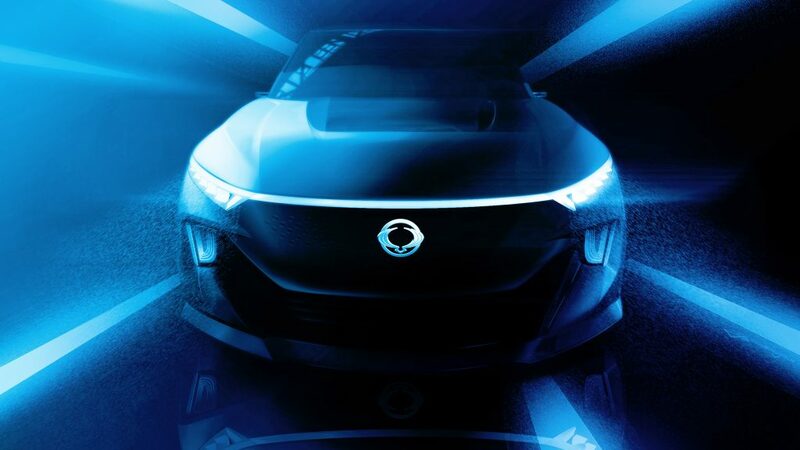 The e-SIV (which stands for electronic smart interface vehicle) is a concept SUV geared towards connectivity and autonomous driving, and has a slated range of 450km and can charge up to 80% in 50 minutes. 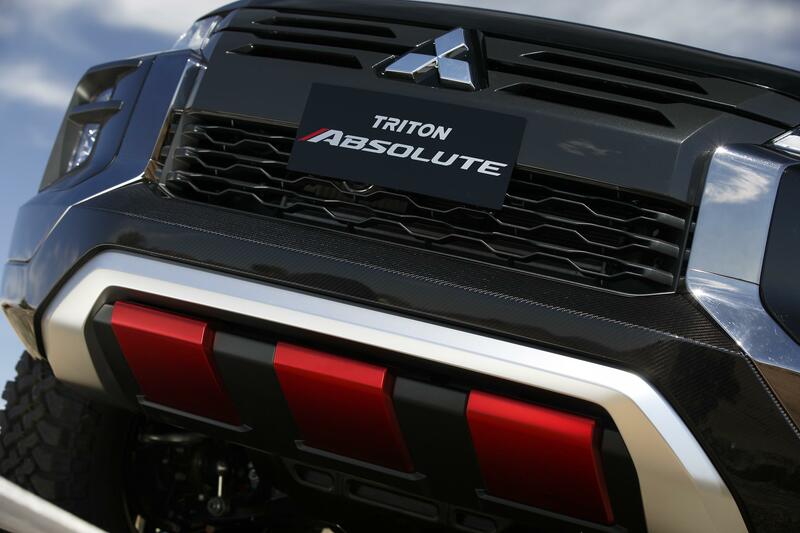 With more reveals certain over the duration of the show, we’ll keep you updated with everything 4×4.